However, she will appear in Star Wars: Episode VIII. It turns out Carrie Fisher won't be making appearances in the Star Wars: Episode IX after all. Last week there were reports that the late actress would play a role in Star Wars: Episode IX, the final film of the sequel trilogy. 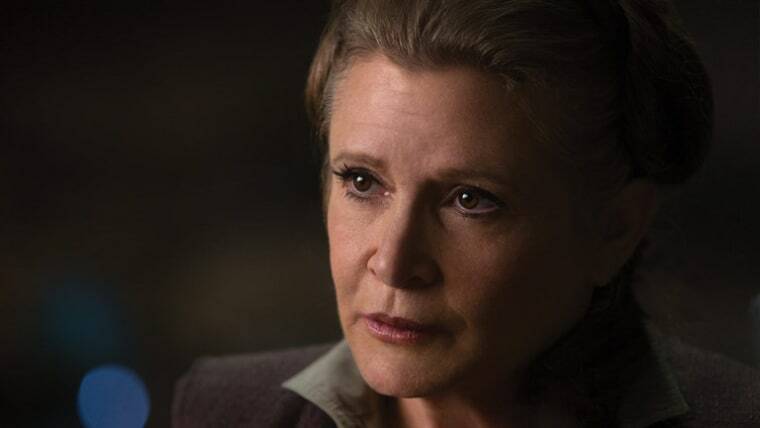 The actress' brother, Todd Fisher, reportedly said that the family was going to allow the film studio to use footage they had of the actress for the movie. However on Friday Lucasfilms president Kathy Kennedy set the record straight on Good Morning America and confirmed that Fisher will not appear in the Star Wars: Episode IX after all. Kennedy explained that Todd must've been confused as "we finished everything in VIII and Carrie is absolutely phenomenal in the movie...unfortunately Carrie passed away so by the time we were well underway with Episode IX in our thoughts, we had not written the script yet." Star Wars: Episode VIII is set to be released on December 15, 2017.